You walk into the airport to walk out of the airport. “Everything’s five minutes away,” I’m told. This is a full-on work trip and time is not lenient, so I don’t get to see the big hole or the diamonds this unassuming dorpie is claim-famed to. I spend the day in a building with inactive airconditioning, compensated only by the friendly willingness of the people I have to interview, the real diamonds in the dust. It looked like rain in Johannesburg when I left in the a.m, but here it’s 29 celcius, and the sky is a stubborn blue. Mxit and Opera mini (glory, glory). It begins to drizzle as I step onto the little plane. My window seat is seated right next to the propellor, and I found myself slipping hypnotic as i watch it pick up momentum until the edge of the blades disappear. That’s the super power I want, being able to move so fast, no one sees me. The buzz from the propellors is so loud, I stop hearing it, and I’m looking over the landscape, an abstract carpet. This is farming country; a Mondrian of reds, greens, yellows and browns, circles and geometrics. Flying through the clouds, I indulge in pareidolia, seeing monsters and gods in the cumulus. I’m looking at the spires of a castle on a mountain with a mermaid in the moat, when I realise it’s sunset, time to break fast. A mid-air iftaar; I’ve packed dates and open SAA’s offering – salmon and cream cheese roulade and some fishy-lookin snoek (obvious pun intended). The salmon’s edible and I smile at the packet of Tumbles. Mmmm…. chocolate. In-flight catering finally gets something right. Touch down Jhb straight into a traffic freeze. Scattered accidents and breakdowns convert the 20 minute commute to an hour and a half belly-crawl. 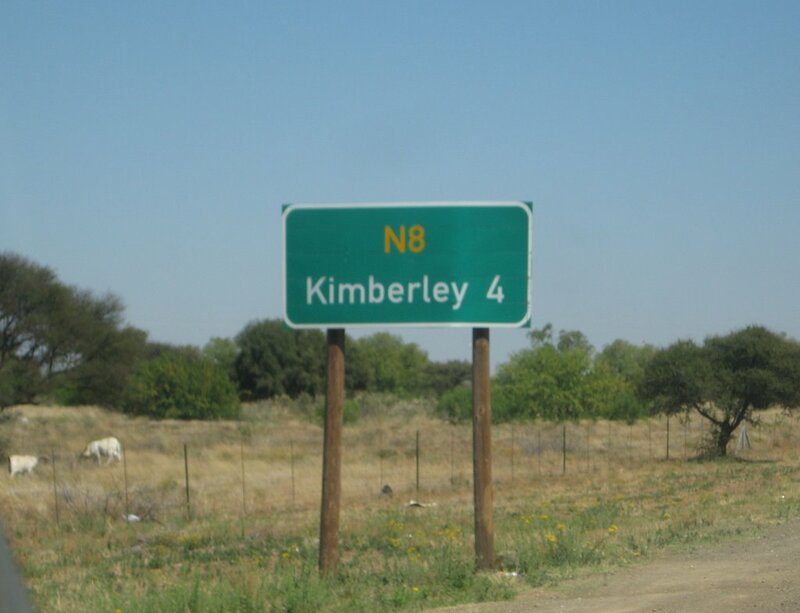 If I were in Kimberely, I’d be five minutes away. was it a very small plane???? dreamlife, QL – hope i get to gather some of those memories when i make a return trip. hanna, Z, M, B – aw shucks thanks. i write to keep the rust away. Bilal, that’s the only drawback about travelling while fasting – cant really sample the local cuisine/franchised cholestorol. Stopped in Kimberly sometime- awesome chicken licken!! My minds still reeling.. floating outside the airplan window over kimberly 😛 Awesome Post. On a road trip with my dad, I travelled through most of the Northern Cape, beautiful, quaint, peaceful. There were some nice buildings too, which we visited. I have no idea (anymore) what they were, but I’ve got the pix somewhere at home.